The garage space is an extended area of the home ideal for many types of projects including carpentry and crafting, workshops, and even socializing areas. With the items that are currently stored in the garage, consider reorganizing and utilizing storage systems that make organization easier. Items to store in the garage may be tools, seasonal supplies, and sports equipment. Most workshops also benefit from a workbench that fits into the storage system. During the garage organizational planning, don’t forget to add in some fun garage ideas. Before starting any new project, it is always a good idea to plan the work ahead of time. There are many new products to help a homeowner with storage efficiencies, with setting up a workspace, and making meaningfulness of the extra space. It is a lot easier to determine the needs once the cleaning is done. Sort items into three piles: recycle, throw away, and give away. Look for organizations in your neighbourhood to give away items that you don’t need. Plan to store items used frequently in the home near the home’s access door. Seasonal equipment such as snow tires, kayaks, and bikes should be put together in one place; likely up high. Install a ceiling-operated storage hoist pulley system if needed. Avoid locating large equipment such as a lawn mower in a corner; rather park it underneath shelving. 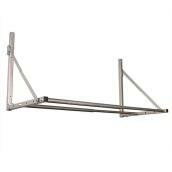 Hang items such as ladders, shovels, rakes, and other garden tools onto racks & hooks on the wall. Research all the storage/organizational options available online and in the store. Building personalized storage systems is also a reasonable option. After the space has been cleared of many items, it is a great time to clean out the garage walls/windows carefully. Now is also the best time to repaint the floor and/or walls at this time. Gather together similar types of supplies and items currently stored in the garage. Tape out on the floor where the cars sit in the garage. Take measurements & draw a floor plan to figure out where things will fit & how. Create storage zones or groups of items on paper. Tape out proposed storage areas on the floor. Find or purchase a safe place such as a locked cabinet to store hazardous materials such as fertilizers, pesticides, and paint. Keep sharp tools, i.e. gardening, hung up high; out of easy reach and secured tightly. 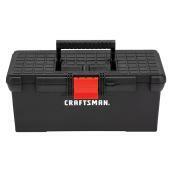 Keep chain saws and other sharp tools stored in locked boxes. When planning the space, make sure there is enough room to walk around equipment without tripping. Make sure lighting is strong enough in the work areas to prevent accidents. A storage system free up valuable space on the floor and increases the garage’s overall storage capacity. If storage is managed well, the garage space’s safety will be increased. Work areas become more productive as well with orderly spaces. Think about alternating between open shelves and cabinets for maximized diverse options. Purchase containers that are either transparent or are adequately labeled for groups of items that would benefit from being bundled together. There is a wide variety of sizes, shapes, and stackable features available. It is generally a good idea to put seasonal things in clear containers for easy retrieval. When there are large quantities of items that need to be containerized, storage is made even easier when the storage containers are stackable. Browse through the variety of containers available before finalizing the storage plans as there are likely new sizes and types of containers that may be perfect for your supplies. The different types available are laminate, MDF core, plastic, and steel. Use steel for heavy items. Otherwise check to make sure the system selected is designed for outdoor grade use in the garage. Most utility cabinets have adjustable height legs and attach directly into the wall for safety. There are a variety of sizes available with closable, lockable doors to store items and hazardous products out of site. 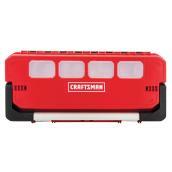 Utility cabinets are ideas for tools, safety items, automotive supplies, paint, and hardware. Freestanding shelves can be used in various areas of the garage, can be attached to the wall or roof rafters, and can have casters to allow for moving capabilities. Use wire shelving for heavy objects that can benefit from free air circulation. Use resin shelving as a lesser expensive option when durability is not as critical a factor. When building shelving as a DIY project, use dimensional lumber, plywood, and MDF with heavy, metal shelving brackets for support. Ceiling mounted storage hoist systems are hung from ceiling rafters or wall studs are ideal for storing seasonal supplies, ladders, hoses, bicycles, etc. When it comes to storage solutions, make sure to use all surfaces. Walls are one of the best locations. The three main types of shelving systems are metal, plastic resin, and laminated wood. There are a variety of types of shelving system brackets and supports available including corner brackets for long expanses of shelving. Some metal shelving systems have a plastic coating to protect it from harsh garage environmental factors such as rust and corrosion. These shelves also allow air to circulate freely; preventing mold and mildew growth which is especially important in moist climates or during moist seasons. Most wire shelving systems can hold heavy objects and are considered heavy-duty. Plastic resin and laminated wood may need necessary support depending upon the nature of the items resting on the shelves. Pegboards are generally thin MDF sheets with regularly-spaced and sized holes designed to hold hooks from which items are conveniently hung. Pegboards used with peg hooks allow for easy and adjustable storage options. Find the hooks that best suit the item planned for storage on the pegboard. Pegboards can be used in conjunction with other types of shelving systems and are ideal for use within modular wall systems. Pre-manufactured modular wall systems are designed and often marked for specific storage purposes. Modular wall systems consist of boards that are attached to the wall. Hooks and even shelving pieces can be attached to the modular wall system. Flexibility is the key with this system. Most modular wall pieces are also attractive and give an overall sense of cleanliness. Manufacturers have some unique and inventive solutions for storing about any type of item conveniently. Items may be rearranged easily to adjust for expanded storage needs or for replacing a similar tool or item with one whose size changes. Simply slide the hangers and items along the horizontal groove to make room for additional items. Pre-manufactured storage systems that suspend from the roof rafters in the garage. These systems have a pulley system and either a raising/lowering platform or hooks. Some systems rise up and down while others are permanently attached to the ceiling and rafters structure above. These suspended storage systems allow the homeowner to make use of the ceiling space in a garage conveniently. Some items need to be hung upside down, such as bicycles, so storing these up high in the middle of the garage (as opposed to against an exterior wall) is an ideal use of space. Plan to store items such as seasonal storage on a ceiling mounted suspended system. Bicycles are also ideal for ceiling storage systems. Look for a system designed specifically for bicycles. Large sports equipment such as canoes may also benefit from ceiling storage. Any household items that are used infrequently, such as seasonal clothing, toys, and holiday items can be stored up high on freestanding shelving. These types of items are often categorized within transparent or opaque containers that need to be carefully marked for easy reference. Designate an area of the garage for trash and recyclable containers near the door to the home for frequent, easy use. Special containers can be used for separated recyclables and trash. Stackable bins may be a good solution. Labeling the containers may come in handy when visitors need to know where items are to be discarded. The options for storing sports items may be a combination of shelving units, freestanding units, clear containers, a modular wall system, or even a pegboard and peg hook system. Specialized units for specific sports gear such as ball claws, hooks for golf equipment, surfboards, and snow equipment are also available. Most bikes are stored on bike racks or on bike hoists. Locate gardening and outdoor lawn care equipment near the garage’s open door for easy access. Hang lighter tools above larger equipment such as the mower and wheel barrow to conserve space. Wire shelving is ideal for gardening and outdoor tools. Locating a workspace in the garage is a great opportunity to take advantage of added square footage. Likewise, there are many hobbies and activities that lend well to an area that is easier to cleanup afterwards. Think about the types of workspaces that can be use. Depending on the type of work in the garage from working on cars, landscaping, potting plants, or even hobbies and crafts, an area designated for cleaning might be nice with a wall towel dispenser and soap dispenser. 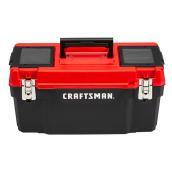 There are convenient, small storage containers that might contain screws, nails, etc. can hang from pegboards and modular wall systems. Hooks for power tools and other supplies. Cabinets (could also be lockable) hanging on the wall. Containers; variety of sizes and designs for specific tools and materials. The workbench could be a part of a freestanding storage system, part of a cabinet system, or stand-alone possibly with storage spaces underneath the work surface. Workbenches are the ideal place to construct projects in the garage. Remember to install lighting for visibility and clarity purposes. Several preassembled workbenches have drawers attached below the work surface. For smaller garage spaces, consider hanging a folding table on the wall that opens up and turns into a useable work surface upon need. When designing the workspaces and the overall garage spacing, consider updating the garage flooring. Garage flooring options generally fall within either the coatings or covering categories. A homeowner can easily apply either system, protect the floor against contaminants, enhance the aesthetics of the space, and even make cleaning easier. The walls may be painted or covered with an outdoor-grade drywall. PVC or plastic wall coverings would be applicable for garages wherein the car would be washed for example. Large expanses of the wall surfaces may be devoted to a modular storage hook system that is attached wither to bare studs or drywall areas. Themed garages; some families may want to personalize the space with paint and/or decorations. Purchasing an air compressor that is housed within a cabinet saves a great deal of space and is a much quieter unit. Keep an eye out for this new invention to come on the market. Compressed storage/workbench combo unit may be a great option for small garages. This type of storage system works like a Murphy bed where it unfolds into a shelf, but then closes up later when not in use. Outfit the garage with a sound system designed for the outdoor garage area. Add in an all-weather LCD television. Purchase a refrigerator that is designed for sub-freezing temperatures to ensure that chilled items don’t freeze when temperatures drop considerably below zero. Install swings or climbing rock ladders for kids. Make sure to follow strict safety guidelines.